Planting cool season vegetables in July and August when it's 100 degrees outside seems counter-intuitive doesn't it? But for experienced vegetable gardeners, now is the time that the fall's bountiful harvest of cool season vegetables is prepared for. 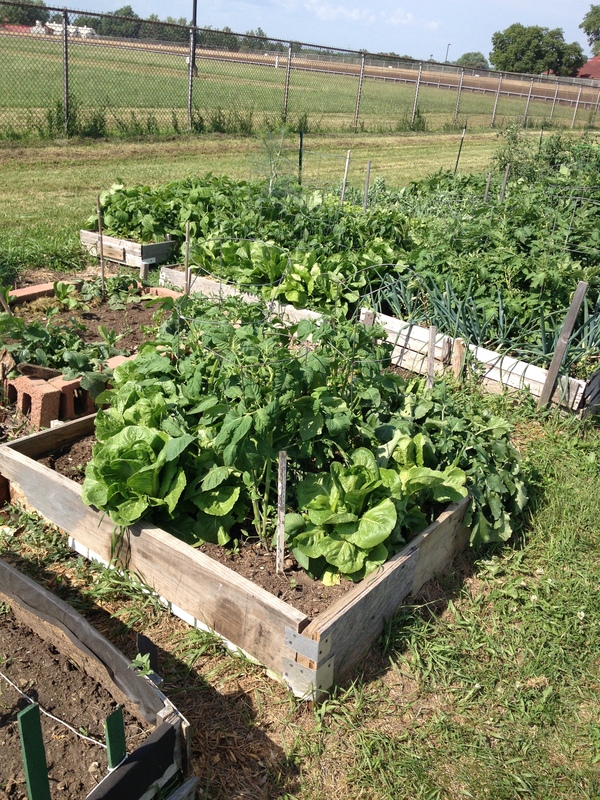 The typical vegetables we plant in our gardens are grouped into categories based on how much cold they can tolerate. When thinking about what to plant for a fall garden, the plants listed as very hardy or frost tolerant are the crops we want to consider. These vegetables will be able to survive the cold temperatures that fall will certainly bring, allowing enough time for the plant to mature and be harvested before temperatures dip too low. The plants listed as very hardy should be planted at least 8 weeks before the average first frost. The average first frost date for central Illinois is approximately early to mid-October, so 8 weeks before then would put you at early to mid-August for planting. Those very hardy plants that could be planted from seed include kale, kohlrabi, leaf lettuces, onions, peas, rutabaga, salsify, spinach, and turnip. You could also plant broccoli, brussel sprouts, cabbage, and onion sets or plants if transplants are ready and available. The frost tolerant plants should be planted about 10 weeks before the average first frost putting late July as your planting time. The plants listed as frost tolerant include beets, chard, mustard, parsnip, radish, all of which are planted by seed. You could also plant cauliflower or Chinese cabbage from transplants. Whatever you choose to grow, be sure to choose the vegetable variety with the smallest date to maturity. Every seed packet should tell you the days to maturity of the particular variety you choose. Count back from when that average date of frost is and make sure you are planting early enough to get a harvest. You want that vegetable to grow to harvest as soon as possible to avoid injury from frost. Keep in mind that the average frost date is, in fact, an average. There is no telling when the actual first frost will occur. Knowing that a frost could come at any time, it's always a good idea to have floating row cover material on hand that can be placed over your vegetables if an early frost is going to occur. This floating row cover can help trap heat around your vegetables and increase the temperature below a couple of degrees. This may make the difference between plant survival or death by frost injury. Though it might be difficult to think about planting more seeds or transplants in the garden in the midst of summer heat, the reward of another harvest in the fall, certainly makes it worth it! Many of the root vegetables, like carrots, become even sweeter as the ground starts to chill in the fall.